The album is as new, never having been used. 8 1/4" x 6". STAMO BUG ALBUM. 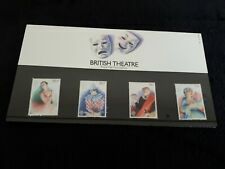 1983 GB PRESENTATION PACK - No. 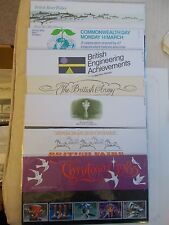 144 - BRITISH ENGINEERING ACHIEVEMENTS Ref 58. Dispatched with Royal Mail 2nd Class Letter. 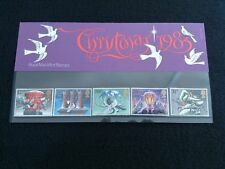 1984 Royal Mail Special Stamps Collection Year Book with Stamps in Slipcase. This item is not within it's original cellophane wrapper, the unmounted mint stamps have been inserted into the relevant pages (see photos). 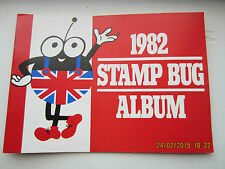 Contains the original promotional literature from Royal Mail introducing this first Year Book issue. Others have been produced for every year since. Nice condition. ISSUED 25TH AUGUST 1981. IN EXCELLENT CONDITION. 1981 GB PRESENTATION PACK 129 (SG 1166-1169) - FISHING. Dispatched with Royal Mail 1st Class Letter. Collectible little item, well looked after. Regular Monthly Sale. ::: UK Cover Lover :: Plus save at least 10% in our monthly sales. Dedicated Support. Nice little item. Regular Monthly Sale. ::: UK Cover Lover :: Plus save at least 10% in our monthly sales. Dedicated Support. Superb Unmounted Mint Condition - Cat £38. High Value Definitive Royal Mail Stamps Number 18 released on 18th October 1988 Four Castles designer by HRH Duke of York. The castles are: Carrickfergus Castle, £1; Caernarfon Castle, £1.50; Edinburgh Castle, £2; and Windsor Castle, £5. Dispatched with Royal Mail 2nd Class Large Letter. Postage costs are to the UK only. Please check out my other items for sale. I do not accept refunds. Thanks for looking and happy bidding. This set has a fold-out information card. 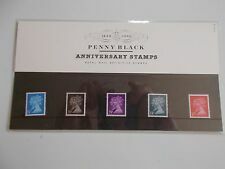 Each containing all the stamp sets issued in that year. Well looked after item. ::: UK Cover Lover :: Plus save at least 10% in our monthly sales. All ready for quick dispatch. Regular Monthly Sale. Dedicated Support. Topics include Christmas, British Army. Gardens, commonwealth & river fishes. TRANSPORT AND COMMUNICATIONS. Issued on 10th May 1988.